If you’ve lived in a cave or underground tunnel system the last decade, the name Tom Lemming probably doesn’t mean anything to you. But to those with a pulse living above ground, you understand that name commands respect in the HS Recruiting game Nationally. Based out of Chicago, Tom Lemming has his own company dedicated to keeping up with top talent from coast to coast. He has a show on CBS that talks about recruits, and does a signing day special that lasts all day and is tuned into by every College, College Coach, and fan of the game. So needless to say, when Tom Lemming comes to town, it’s a big deal. Every year Tom Lemming comes to the Northwest and gathers all of the top players for a 1 day photo shoot, as well as private sit down interviews. To add to the luster of just meeting Tom and being talked about on his show, he is also tasked with inviting kids to play in the Semper Fi Bowl in Arizona next January. Every year he partners with Chris Fetters of Scout.com to compile a list of kids from Oregon and Washington to attend the event. It’s held at Husky Stadium in Seattle, so on top of everything else all the kids get to meet with Coach Steve Sarkisian and his entire Husky Staff. This year NEI has been asked to help in the evaluation process, as well as to coordinate bringing all the top Oregon and Southwest Washington players to the event. This was a great honor bestowed upon us, and we humbly accepted. 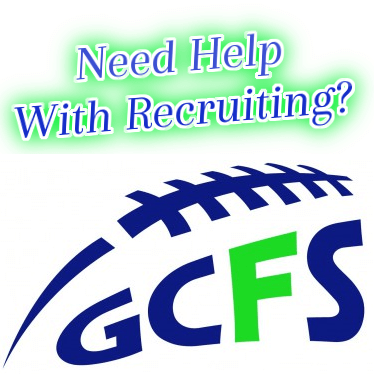 Scout.com is the unrivaled leader in the Northwest and West Coast of the High School Football World and Recruiting. We have had and continue to have a great relationship with them, as Chris Fetters, Jake Worthen, Brandon Huffman, and Greg Biggins are great people that truly care about the kids and put them first. This should be a great event and as usual, NEI will have their cameras and analysts there covering everything and everyone. Look for great pictures and videos from the day on our website that week. Again, we want to thank all of you for your continued support of NEI. As a website that doesn’t charge a fee, we are spending a lot of our own money to bring you innovative and unprecedented content. It’s a lot of work for us, but it’s also a lot of fun. The most rewarding part is knowing that we are helping to make a positive difference for all the kids in the Northwest. A list of the athletes that will be invited and attending, with a picture and write up, as well as a link to their highlight video will be released on our site within the next week.